This bite-sized family favourite has a beautifully crisp, zesty lemon pastry. 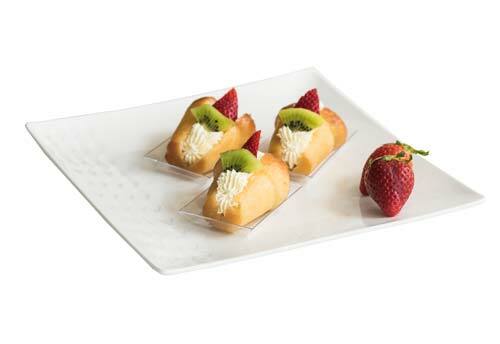 It is filled with a smooth and sumptuous vanilla pastry cream and is topped with glazed fresh fruits. 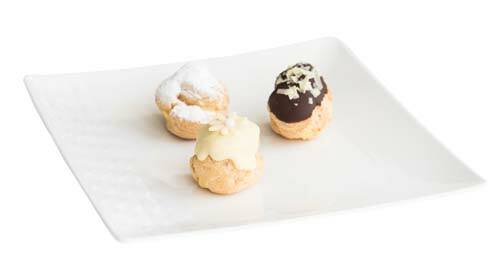 This little heavenly mouthful consists of a light choux pastry bun filled with a smooth and silky pastry cream that can be flavoured to suit a multitude of tastes. It can be topped with chocolate or simply dusted with icing sugar, either way, it tastes divine. Beautifully flaky puff pastry shaped like a ‘horn’. Similar to the Bigne, it is filled with a smooth and silky pastry cream that can be flavoured to suit a multitude of tastes. It can be topped with chocolate and nuts or simply dusted with icing sugar. A delightful nutty sensation that combines your choice of hazelnut or pistachio pastry cream and chocolate ganache with a crisp chocolate crostata pastry. 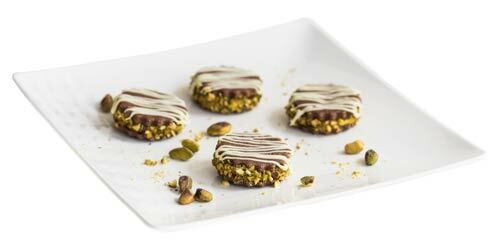 Akin to a sandwiched biscuit in structure, this beauty is then rolled in chopped hazelnuts or pistachios and decorated with white chocolate. Native to the Neapolitan region, this mushroom-shaped sweet treat lies somewhere between a sweet bread and a cake sponge. 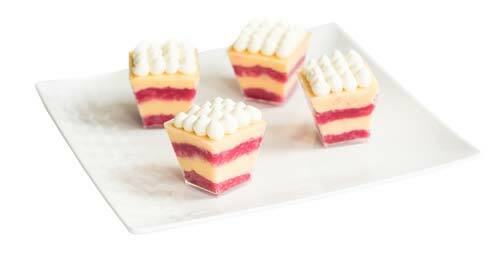 Its leavened dough lends itself well to absorbing the Rum and citrus syrup with which it is soaked and it is beautifully balanced with a vanilla chantilly cream filling and fresh fruit decoration. 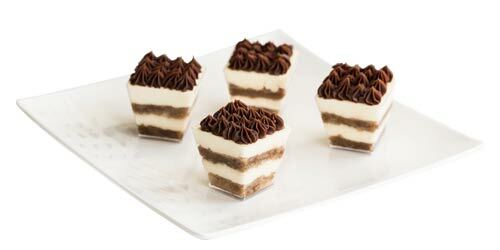 This classic Italian trifle consists of a light sponge soaked with coffee and amaretto liqueur, layered with a mascarpone cream and topped with a double chocolate ganache. This layered dessert consists of a light sponge soaked with Alkermes, a lightly spiced liqueur that gives the dessert its distinctive pink colouring, this is sandwiched with vanilla pastry cream and topped with Chantilly cream and flaked almonds. Moist, creamy and sublimely delicious!